The adult brain is not as hard-wired as traditionally thought. By modifying their small- or large-scale morphology, neurons can make new synaptic connections or break existing ones (structural plasticity). Structural changes accompany memory formation and learning, and are induced by neurogenesis, neurodegeneration and brain injury such as stroke. Exploring the role of structural plasticity in the brain can be greatly assisted by mathematical and computational models, as they enable us to bridge the gap between system-level dynamics and lower level cellular and molecular processes. However, most traditional neural network models have fixed neuronal morphologies and a static connectivity pattern, with plasticity merely arising from changes in the strength of existing synapses (synaptic plasticity). In The Rewiring Brain, the editors bring together for the first time contemporary modeling studies that investigate the implications of structural plasticity for brain function and pathology. 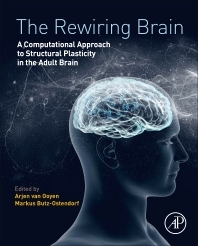 Starting with an experimental background on structural plasticity in the adult brain, the book covers computational studies on homeostatic structural plasticity, the impact of structural plasticity on cognition and cortical connectivity, the interaction between synaptic and structural plasticity, neurogenesis-related structural plasticity, and structural plasticity in neurological disorders. Structural plasticity adds a whole new dimension to brain plasticity, and The Rewiring Brain shows how computational approaches may help to gain a better understanding of the full adaptive potential of the adult brain. The book is written for both computational and experimental neuroscientists. 4. Is lesion-induced synaptic rewiring driven by activity homeostasis? Van Ooyen was trained as a (theoretical) biologist and received his PhD in computational neuroscience from the University of Amsterdam, the Netherlands, in 1995. After postdoctoral periods at the University of Edinburgh, UK, and the Netherlands Institute for Brain Research in Amsterdam, he started working at VU University Amsterdam in 2004, first as assistant professor and later as associate professor. His long-term interests include the computational and mathematical modeling of neuronal morphogenesis and the development of synaptic connectivity, with a focus on the role of homeostatic structural plasticity in the formation and reorganization of neuronal networks. He is editor of the book Modeling Neural Development (MIT Press, 2003) and author of the review paper Using theoretical models to analyse neural development (Nature Reviews Neuroscience, 2011). Markus Butz-Ostendorf studied informatics and biology and holds a PhD in neuroanatomy. He did several postdocs at e.g. at the Bernstein Center for Computational Neuroscience Göttingen, the Neuroscience Campus VU Universiteit Amsterdam and the Forschungszentrum Jülich. His research focus is on modeling structural plasticity in the healthy and diseased brain. 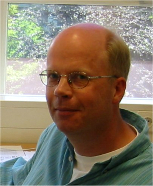 Together with Arjen van Ooyen, he phrased a computational theory on the driving forces for homeostatic structural plasticity following brain lesions. The underlying algorithms are freely available in the modeling framework for large-scale spiking neuronal networks NEST. He recently edited Frontiers Research Topic "Anatomy and plasticity in large-scale neuronal networks."